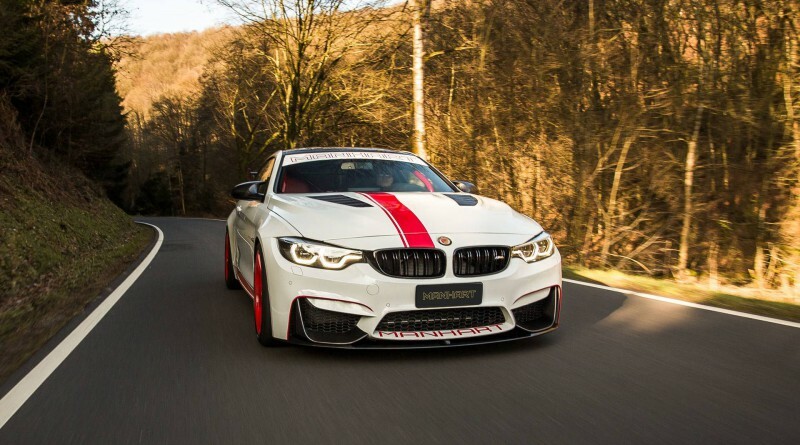 Manhart is no stranger to the BMW brand, that is why the new Manhart MH4 550 will instantly allow you to stand out from the crowd at your local track day. 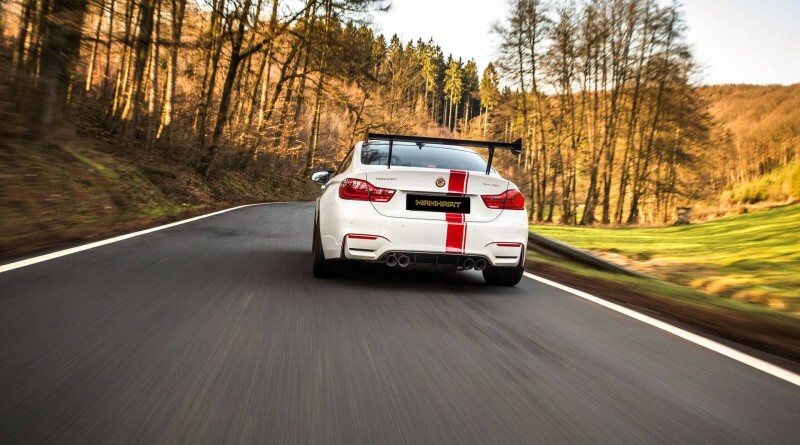 The tuned M4 pumps out 550 horsepower, hence the name MH4 550. 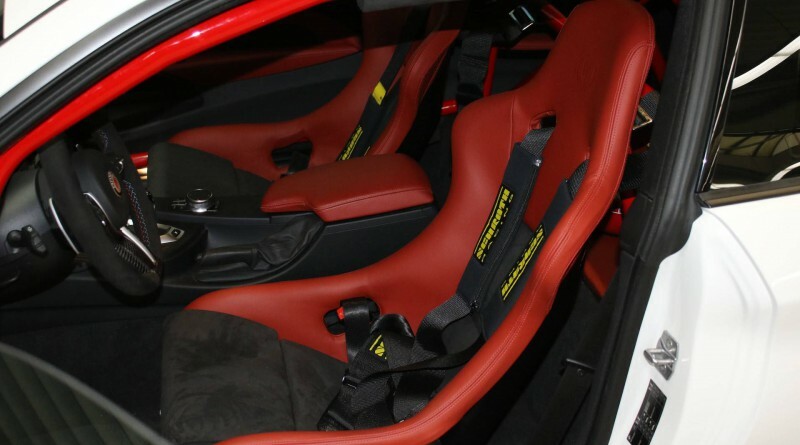 The company has just announced a newer, even more track specific version that includes a massive wing, racing seats, and a full roll cage as you can see in the photos below. The 550 hp engine is still powered by a 3.0-liter bi-turbo six, but also gets a carbon air intake system, catless downpipe and a Manhart muffler to give it the sound of a true race car. The suspension is also improved to give the car a stiffer feel compared to a stock M4. 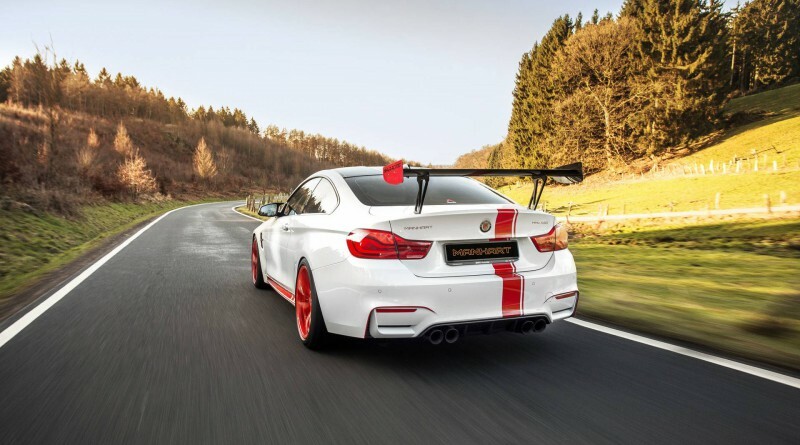 The spoiler and rear diffuser are from BMW M-Performance and get a gloss carbon treatment, while the carbon hood is Manhart-specific. 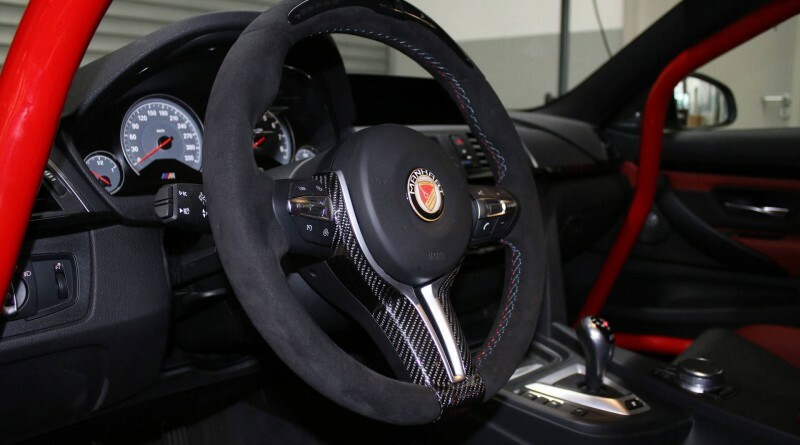 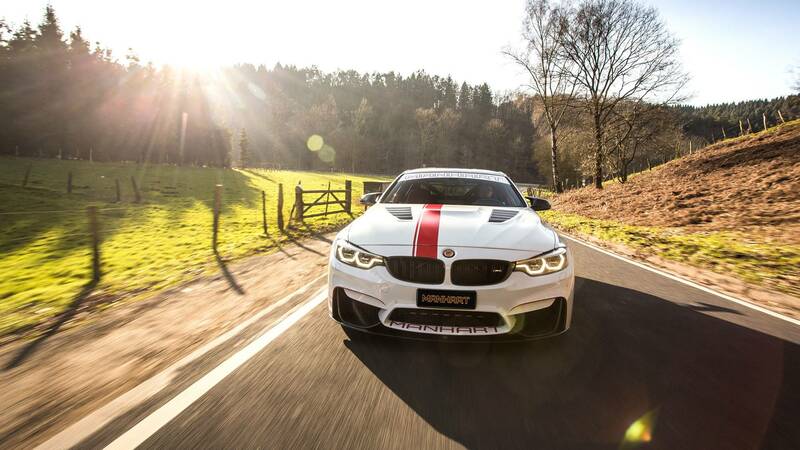 Currently neither Manhart or BMW has released information related to pricing, but you can expect it to come in somewhere close to the current BMW M4 GTS for sale.